Gorgeous home-grown flowers from my garden and hedges for a fab, blowsy vintage feel. Ceremony, church, reception and bouquets all arranged from the other side of the valley to Dunwell! Romantic bouquets with beautiful trailing ribbons and quirky men's buttonholes are my favourite things to make. Amanda is a freelance florist who works from a studio in Plymstock, Plymouth and specialises in wedding flowers. As a finalist in the 2017 South West Wedding Awards, whether your wedding is large or small, Amanda strives to ensure that your flowers match your vision and budget for your special day. Amanda offers a very personalised service to all her couples and is passionate about her work. If you book your wedding at Dunwell Farm I will offer you a 5% discount on your wedding order. Hannah & her team at Hannah Burnett Florist strive to produce the most wonderful flower designs for your wedding day. Winners of Best Devon Florist award, and The South West Wedding Awards in 2017, we absolutely love to chat all things weddings, and take time to get our flower designs perfect for our couples. 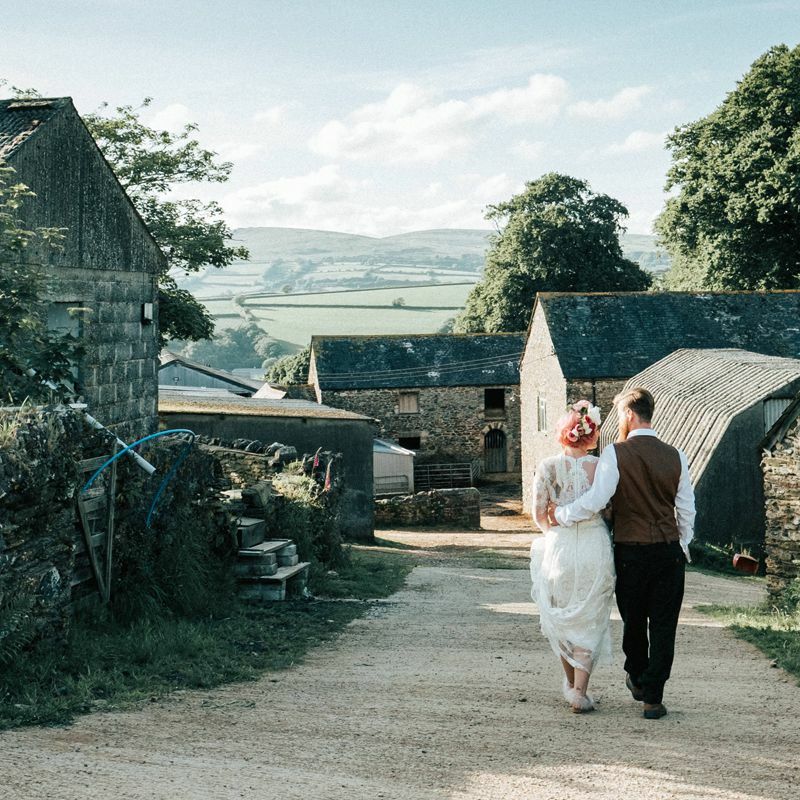 We absolutely love working at Dunwell Farm and if you'd like to book an appointment to go through your ideas, simply get in touch, we'd love to hear from you! My jewellery has become very geometric, drawing on both the static and dynamic geometric systems of proportions and patterning. My focus has changed over the years from Celtic, through freeform and now to a more overt rigorous style, although I have used the fairly strict systems of proportions from the outset as an underlying principle for all my design work since I started making things back in the early seventies. An obsession with thrift shops, all things vintage, interiors and Pinterest has led to an ever growing collection of props and equipment to style your wedding. The list includes tablecloths, both pretty embroidered and bright 1970's cheesecloth, mid-century teacups and saucers, milk churns, baskets, white jugs, crazy jugs, vases and a vast stack of late 60's, early 70's dinner plates. New additions are posted onto my Oakenham Facebook site in the Album - Props from Oakenham. Full styling packages can be arranged. Contact me to discuss your theme and if I haven't got what you're looking for, I'll know someone who has!! I offer beautiful Annie Sloan painted furniture and vintage accessories to hire as a package to fit in perfectly with any vintage, rustic themed wedding. Package includes - console table for signing of the register and displaying wedding cake on - French chest of drawers to display flowers, cupcakes etc - large vintage wooden step ladder fab for maison jars and flowers - vintage metal trunks with lots of fab unique uses! Laura is a Devon girl, now based in Bristol. 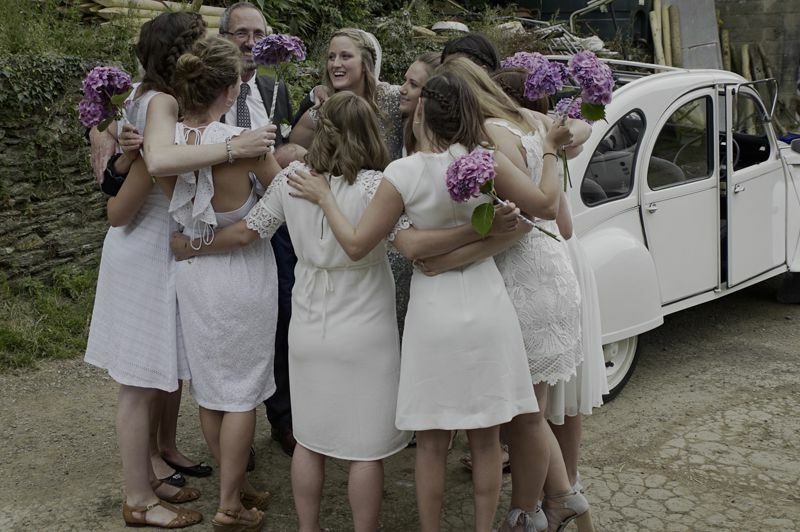 She grew up not far from the farm and Dunwell is one of her favourite wedding locations. Preferring to work using natural light, her style is artistic, discreet natural photography, photographing the day as it unfolds. Laura has a keen eye for detail and will always seek the finer details of the day. If you like what you see and are looking for a relaxed, creative and fun photographer to capture your wedding, please get in touch. Mention Dunwell Farm for an exclusive discount. My style has been described as natural, relaxed and stylish, but for me it's about the freedom. The freedom to express, to capture something special, to seek something new and to take pride in creating images that are loved. As you may have guessed my passion lies with photography and I, along with my second shooter Steve pride ourselves on capturing all of the details of your big day in a natural and relaxed style. 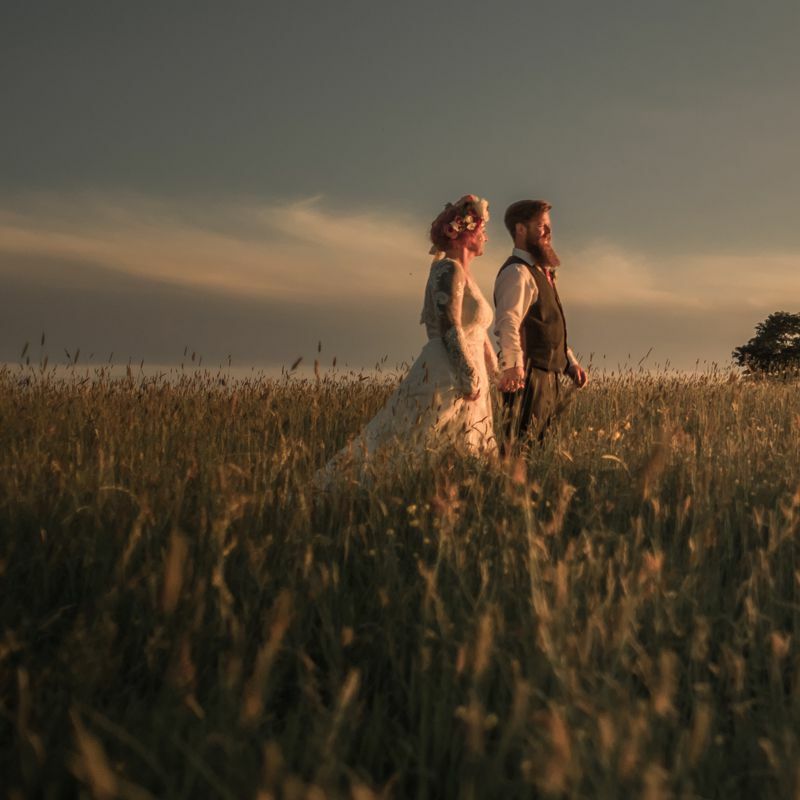 The surroundings of Dunwell lend themselves perfectly to our style so if you're looking for a photographer who'll muck in when needed and who will put you at ease on your big day then please do visit my website and drop me a message. I love a good wedding, who doesn't?! The emotions, excitement and laughter….I will capture your day as it unfolds naturally, without being intrusive or forcing it, enabling me to provide you with beautiful, honest and natural images. From short celebrations to elaborate full days, I would love to hear more about your plans and have a chat about how I can capture your wedding day. I have been passionate about photography for many years. I love photographing weddings because I can capture meaningful images that are full of emotion and can be kept for years to come. I have a classic, documentary style of photography and I love to capture the candid moments - when no-one knows they are being photographed. I have a relaxed nature and enjoy meeting new people and hearing their ideas. One of the joys of being a wedding photographer can be the location. 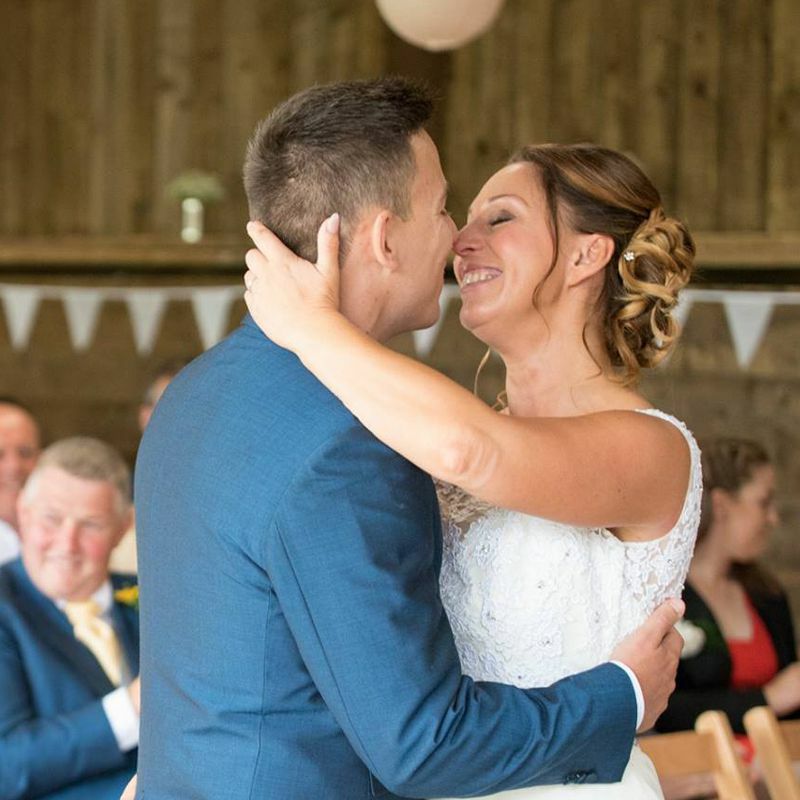 With a great location it makes for a great day and Dunwell Farm was my favourite venue of the season - the people were warm and helpful, with a great service and fun feel to the whole day - I would highly recommend them for your wedding day. 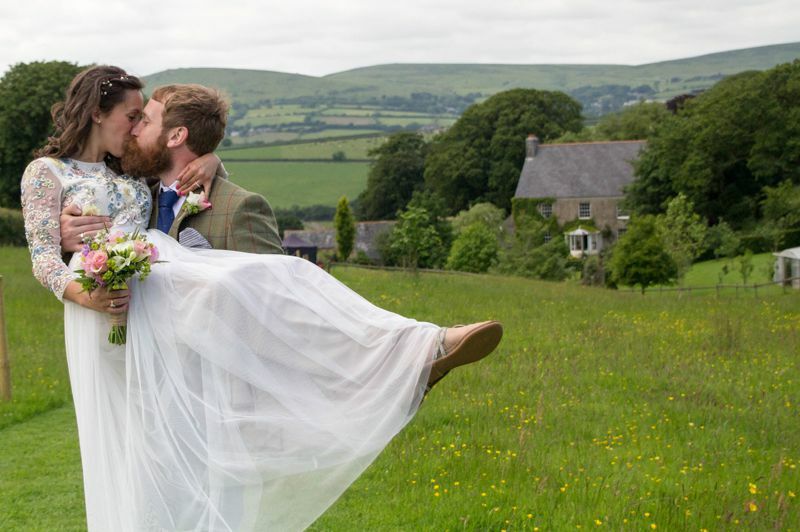 Younger Photography are Devon based wedding photographers. Established in 2003 they have many years in the Wedding photography world. They specialise in relaxed wedding photography with award winning results. AA4 star Self Catering Accommodation with 1, 2, 3 or 10 en suite bedrooms. 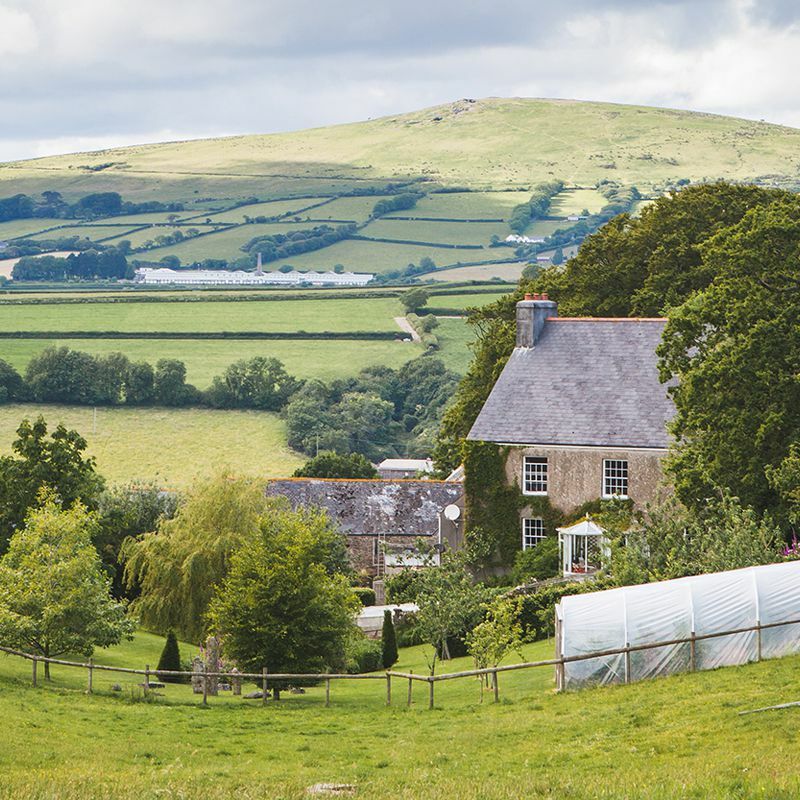 Blackadon is inside Dartmoor National Park overlooking the South Devon Coast. Your accommodation is within easy reach of Dunwell Farm and many of South Devon's attractions. A warm welcome awaits from Jacky & Mark. The Anchor Inn is a traditional yet contemporary village inn with a restaurant, bar and ten bedrooms which are available on a bed and breakfast basis. We have six rooms above the inn offering high ceilings with original beams, comfortable beds and walk in showers or a bath. We also have four cabin rooms which are placed around the courtyard to the rear of the inn; these offer a spacious high ceiling-ed bedroom with a shower above the bath. Why not give us a call to see if we can help provide the accommodation for your wedding guests? Two 5* cottages, part of an architect designed barn conversion, set in a lovely hidden valley at Fowlescombe Farm, Ugborough. A proper working organic farm, friendly animals, abundant wildlife, fabulous views year round. Central for Dartmoor and the South Coast. Children welcome. 2-bedroomed Swallow Cottage sleeps 4 and 3-bedroomed Barn Owl Cottage sleeps 6, plus cots. Lucy and Ria offer high teas on our vintage china and delicious sweet and savoury bakes for weddings and other events. Everything is handmade and decorated with love and combinations and decorations can be tailored to your specific needs. Contact us for a bespoke quote for your special event. We are a multi-award winning artisan ice cream company, based in Plymouth. We specialise in weddings and events, making scrumptious ice creams and sorbets for your big day. You can hire one of our beautiful vintage tricycles to entertain your guests, while you create your wedding pictures or as an evening surprise. Your guests will love our unique flavours, from Prosecco and fresh strawberry sorbet to creamy salted caramel fudge and everything in between. If you would like to know more about our bespoke packages, please get in touch. Made on site in Dunwell's farmhouse kitchen, Sue can whip up as many pavlovas as your guests can eat. Our aim is to provide high quality, bespoke cakes for our couples whilst giving them a personal, friendly but professional service. We aspire to be the very best at what we do and are committed to each and every couple to ensure their experience is all they could want leading up to their special day. Our aim is to simply make cakes that make people happy. Cake designer specialising in beautiful vintage style wedding cakes and cupcakes that taste as good as they look. We also have a stunning collection of vintage china and props available for hire. With over 200 teacups, saucers and plates, cake stands, teapots, step ladders and much more, our collection is perfect for vintage weddings, small or large. Funky-tents offering unique and contemporary marquees for weddings and events. Our modular structures and fantastic furniture creates the perfect partnership for an exceptional wedding at Dunwell Farm. We can supply everything you need for a stress free event including generators, flooring, tables and chairs, bars, lighting and great chill out furniture. Spectacular Nordic Tipis for your wedding. Westcountry based. Very competitive prices. Personal service. Fairlove Yurts, one of the longest established yurtmakers and hirers in the country have the largest range of beautiful handcrafted yurts for hire anywhere. The biggest of the yurts holds up to 300 guests (180 seated formally), or join several of them up for a festival feel to your wedding. We can also do you a beautiful wedding night yurt complete with wood burner and double bed decorated with authentic yurt hangings and furniture. From your initial enquiry to setup and collection we pride ourselves on offering a step by step friendly and professional service. We are great at adapting to change and offer a flexible business designed to meet the expectations of modern event planning. We can also supply dance floors, furniture, lighting, power and any number of accessories from catering tents to rattan furniture. 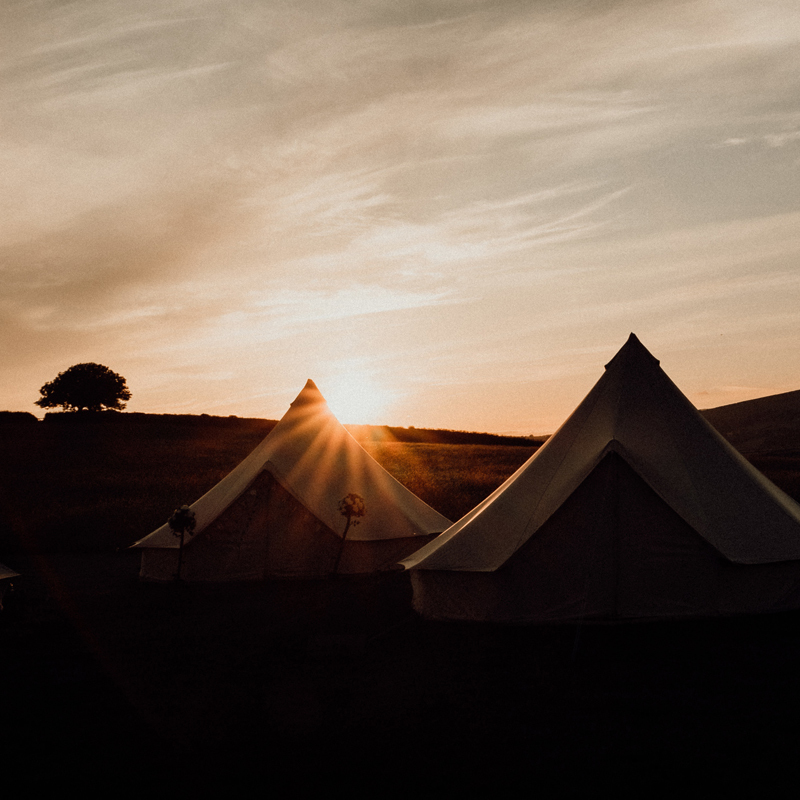 Based in Plymouth (Devon), Really Good Marquees are a local, family run marquee hire business, offering two unique styles of marquee hire in Devon and Cornwall. Our marquees make your event stand out with a more modern feel and are a more cost effective option than a traditional marquee. We are a passionate team dedicated to hiring stunning and unique marquees. Our luxury marquees have heavy canvas exteriors with beautiful linings which lend themselves easily to different dressings to create exquisite venues. Paddy's Whiskers play footstompin' live Irish, Celtic and American music. The three piece band play gigs, ceilidhs and barn dances at festivals, weddings and parties across the South West. Paddy's Whiskers mix traditional and well known songs with tunes played in an upbeat contemporary style. It's folk music with a slightly harder edge....a bit faster....more street wise. 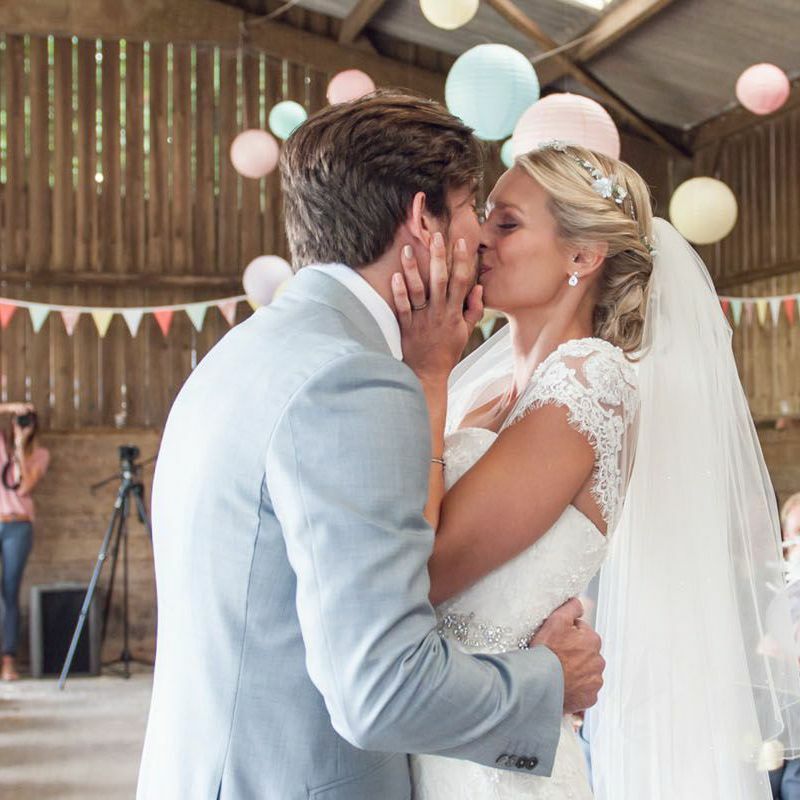 The band also have an in house DJ to provide entertainment for later stages of any party, and can provide acoustic music for wedding ceremonies and afternoon drinks receptions. Steve is based in Plymouth, Devon and has over 20 year experience as a top class entertainer and has performed on stages all over the world. Steve has a huge repertoire, including Swing, Soul and Motown, Rock, Pop and the biggest hits of today. With superb vocals, brilliant personality and many years in showbusiness, his show is perfect for your wedding. Gloria is an amazing example of the Rice Beaufort Double Horse Box and has been converted into a multi-functional space. Hire her for welcome drinks, a cocktail bar, a Gin Bar (personal favourite) etc. Alternatively, set up a fast food unit or fill with props and a polaroid camera - the list is endless!! We are a small family run business based in the South West and supply beautiful sequin table linen all over the country. We pride ourselves in offering the highest quality sequin table linen available in the UK. Available in beautiful shades of Rose Gold, Gold, Champagne & Silver, our sparkles will guarantee you a show stopping finish.